Our control valves range goes from DN15 to DN200 and from PN10 to PN760. Depending on the seat orifice, their flow coeficient Cv varies from 0,5 to 714. The flow characteristic can be linear, equal percent or else on demand. These valves can be equiped with conventional or smart positioner, air filter reducer, solenoid valve, volume booster, limit switches and can have BW ends or flanged ends. 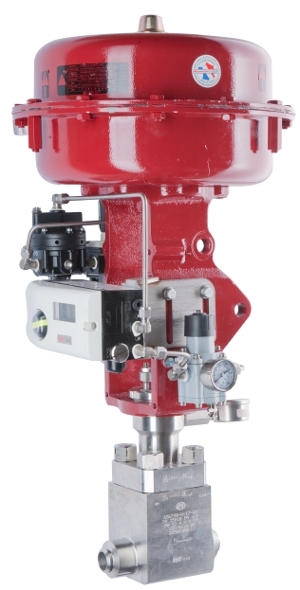 Our control valves can be intended for oxygen service or for cryogenic service.